Edamame beans are infant soybeans, picked before the beans have hardened. 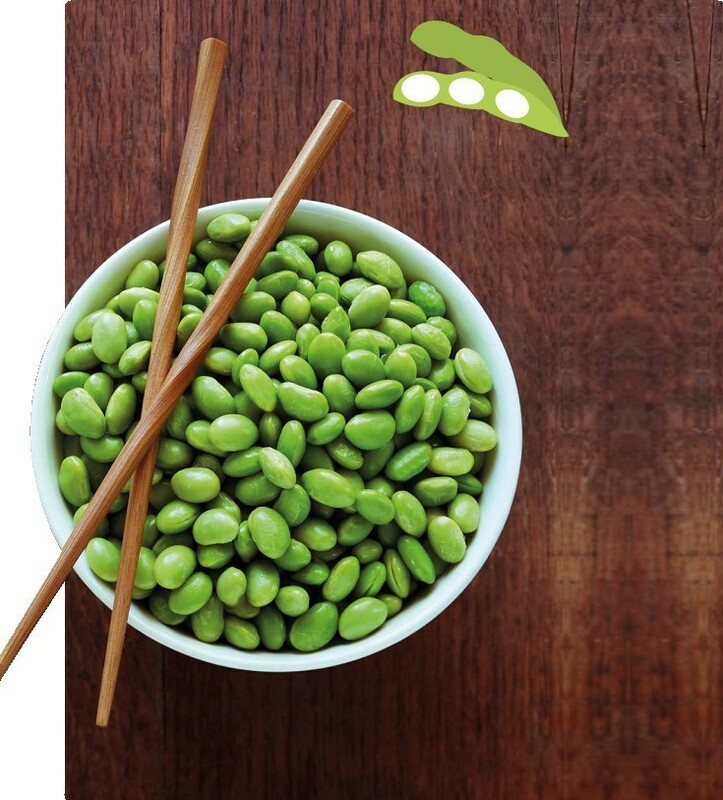 Popular in Japanese and Chinese cuisine, the term edamame is a Japanese one, literally meaning “stem bean”. Typically harvested by hand, so as to avoid damaging the stems, the young soybean pods are picked 35 to 40 days after the crop first flowers – before they fully ripen. The Japanese tradition is to boil edamame beans in lightly salted water for four to five minutes. Most recipes involve the addition of salt – either during the boiling process, or sprinkled on after – for taste. Once cooked, the beans can be easily removed and eaten on their own, or added to mixed vegetable dishes like stir-fries or salads.